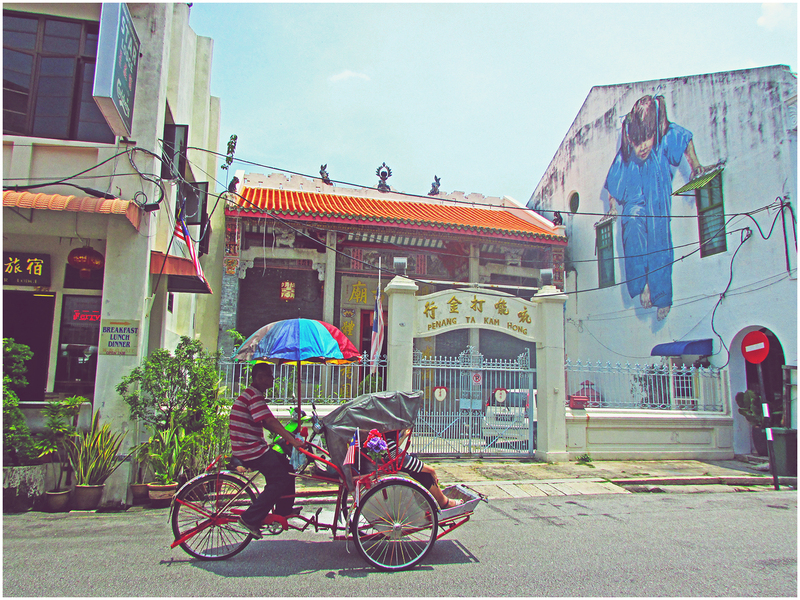 A trishaw passing by a large art mural “The Trishaw” in Penang Road, George Town. 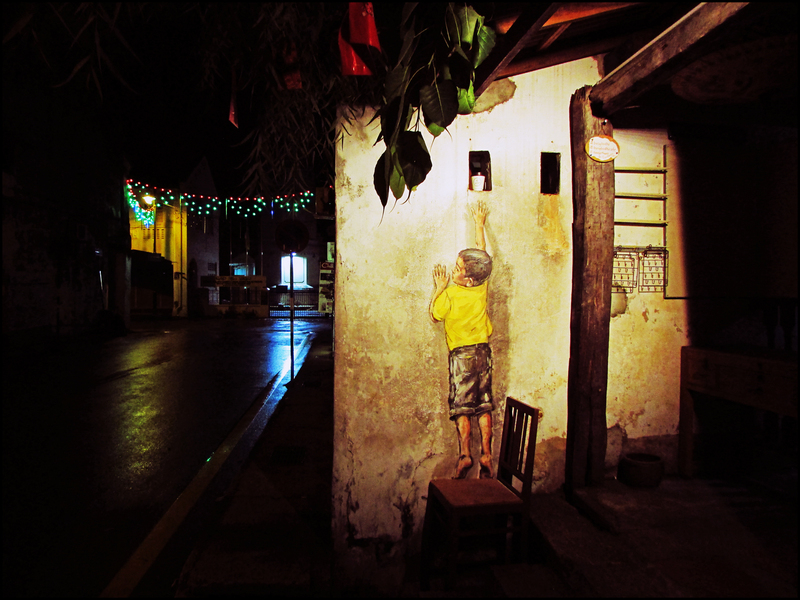 Arguably the three most famous art murals as painted (and repainted again early this year) by Ernest Zacharevic, taken at night in George Town. 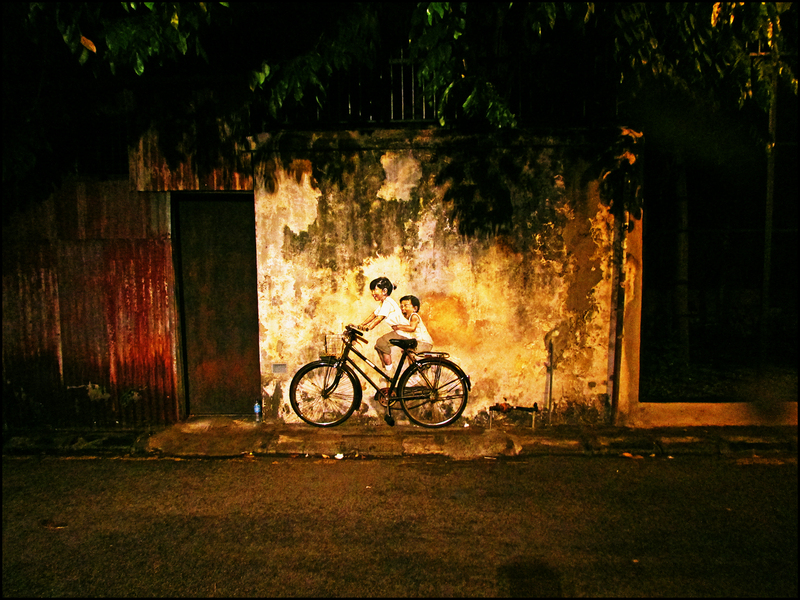 A wall art mural (with a darker theme) painted by Ernest Zacharevic which can be found at KOMTAR in George Town. 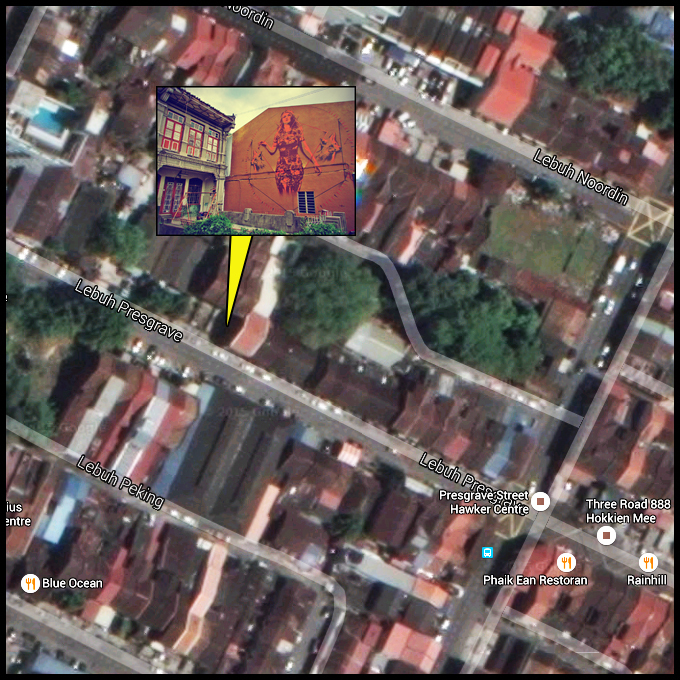 The Old Fisherman Mural, The Silat Master and The Rubber Tapper by Julia Volchkova. The Old Man Portrait by Ernest Zacharevic. 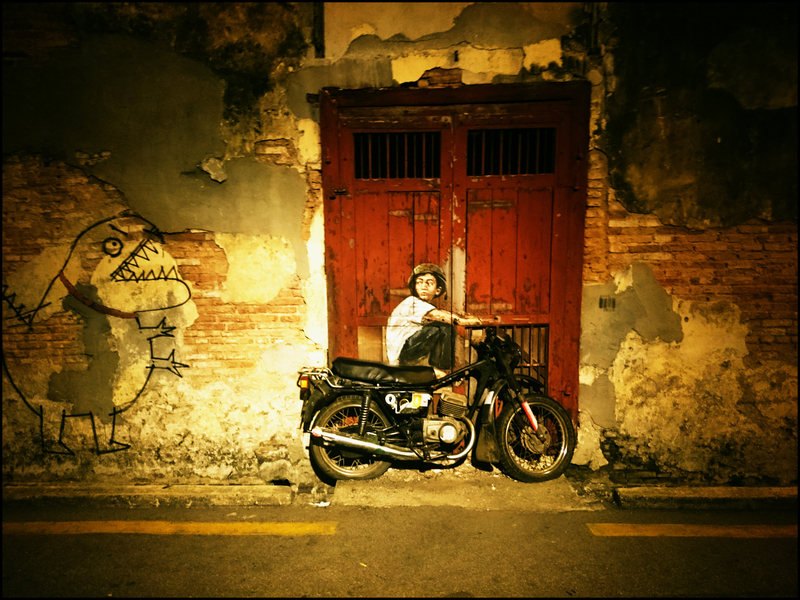 For other street arts in Penang, please click HERE. Please click on each map image below for a larger size. 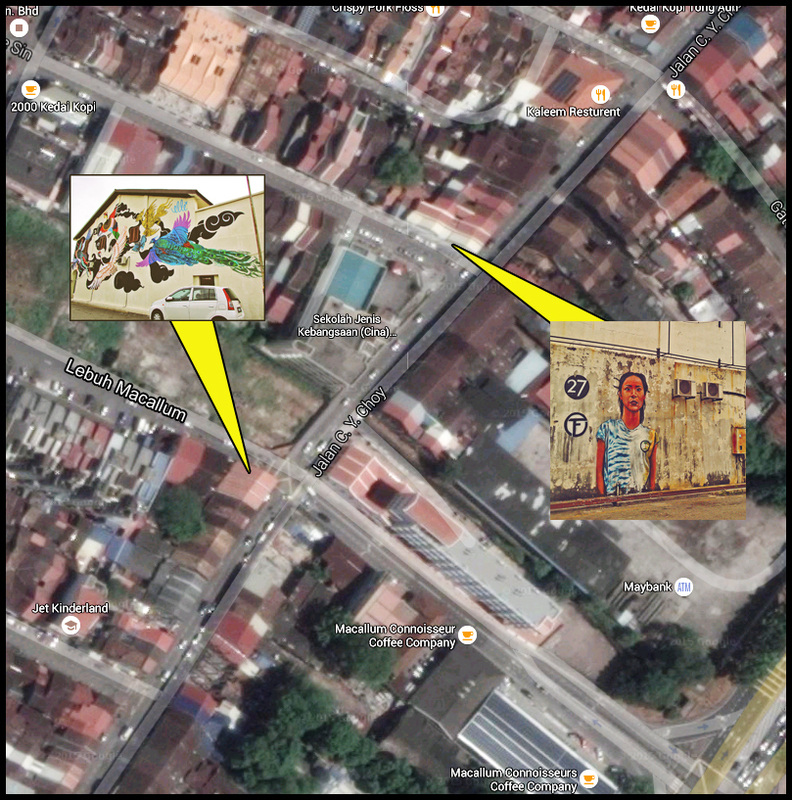 For other street art location maps, please click HERE. 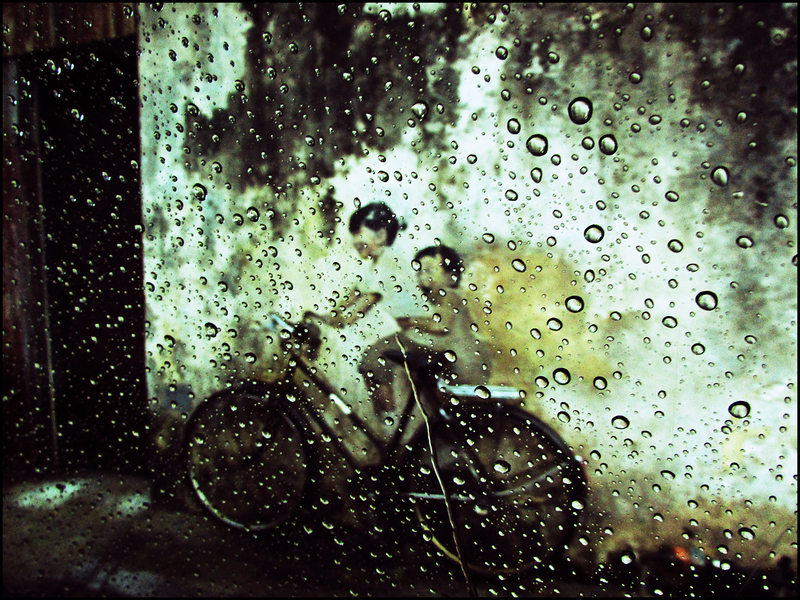 A trishaw leisurely passing by Ernest Zacharevic’s giant mural of ‘Girl in Blue’ in Muntri Street, George Town. 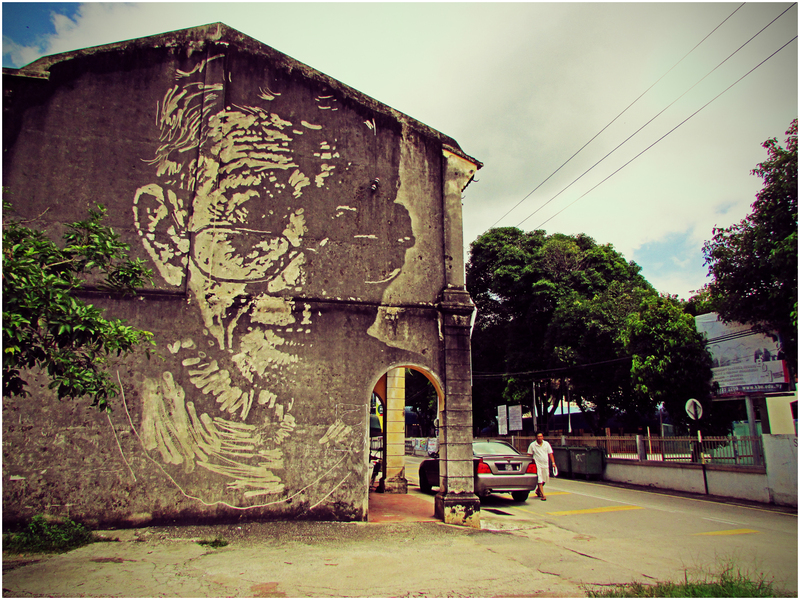 A large mural portrait of an old man as created by the now famous artist Ernest Zacharevic. 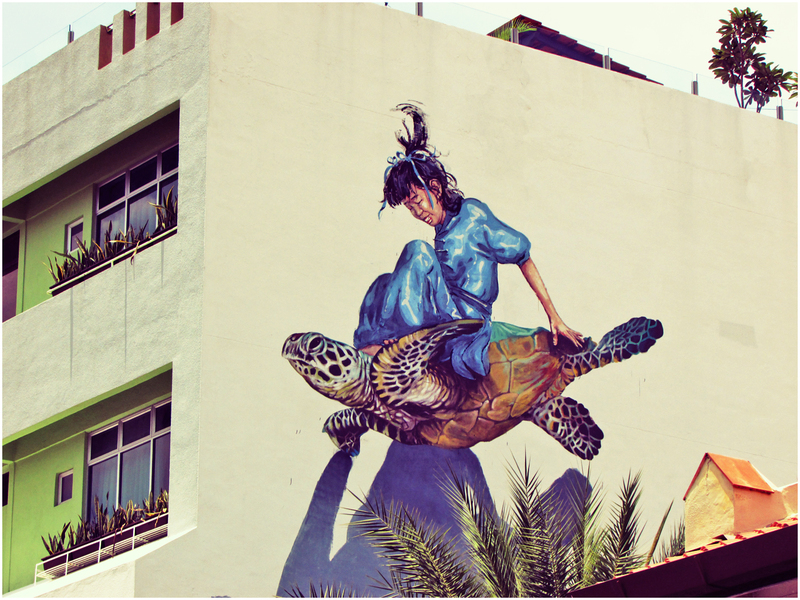 This large mural is a collaborative art work between street artists Ernest Zacharevic and Martin Ron. 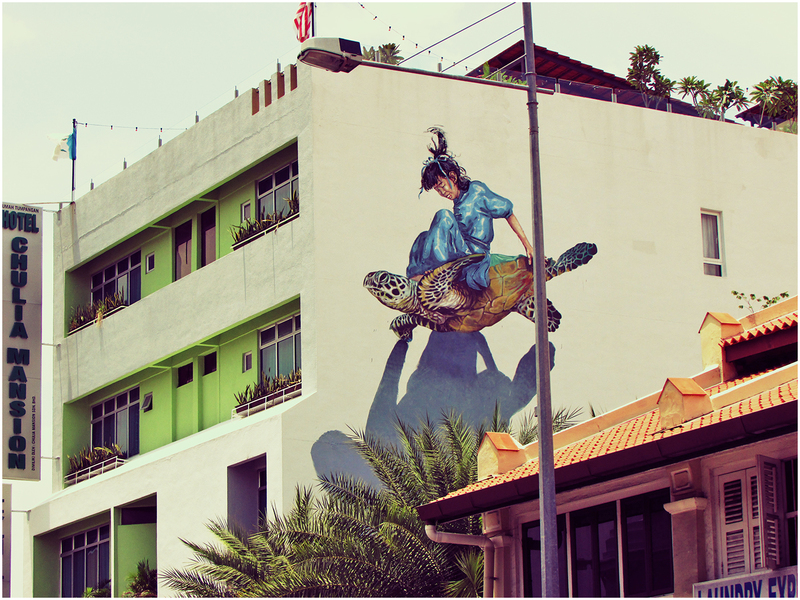 The mural depicting a girl sitting on top of a sea turtle is painted at the side of Chulia Mansion Hotel in Chulia Street, George Town. The artwork was recently completed in March. For the location, please go HERE.